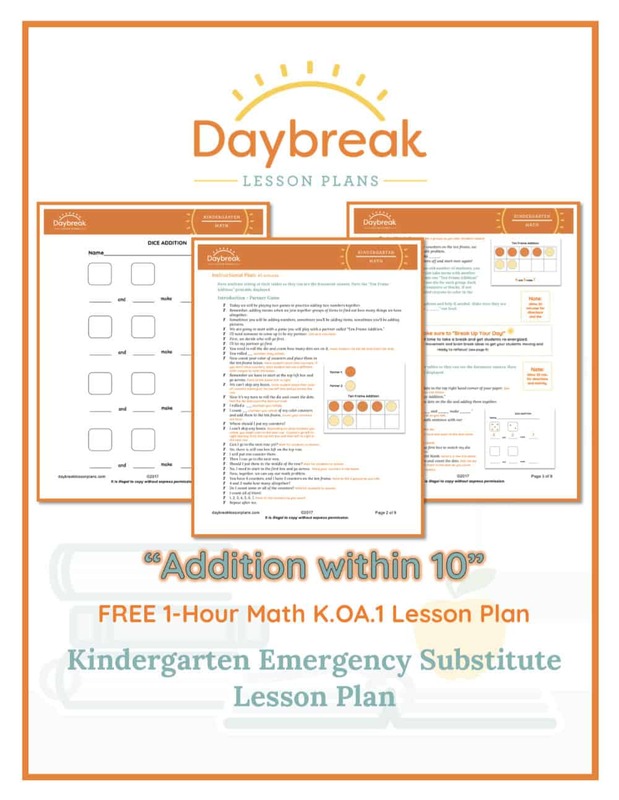 This is a 1-hour, fully scripted Kindergarten Math lesson plan addressing addition within 10 (K.OA.1). This lesson reinforces the skill of adding within 10 by showing students two methods to help them count. Students will add two numbers together by counting boxes in a ten frame and counting dots on dice. This is a 1-hour, fully scripted Kindergarten ELA lesson plan addressing reading and writing comprehension standards (KRI.1, KRI.2, KRI.3, KRI.4, KRI.5, & KRI.6). 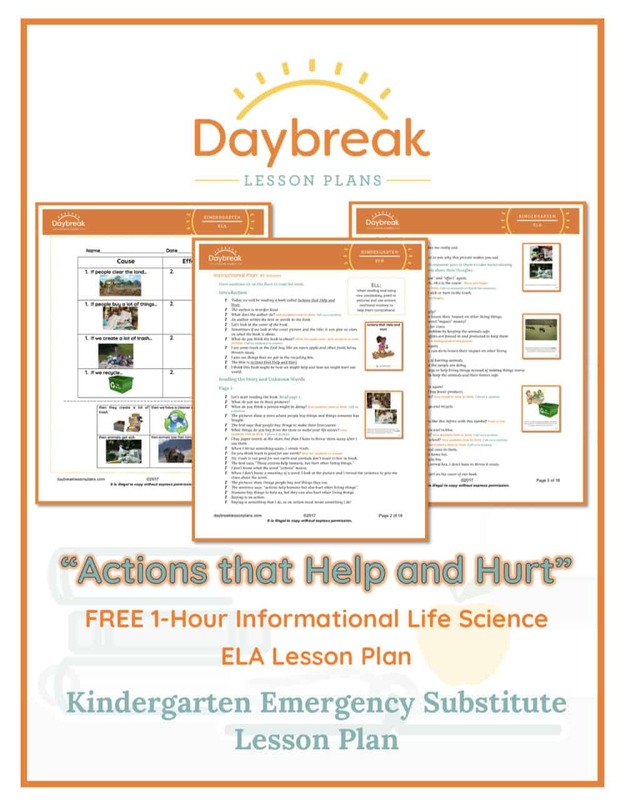 This lesson includes a read aloud of a printable Informational Life Science text, “Actions that Help and Hurt,” by Jennifer Kaul, written in the format of a book. Students will practice identifying parts of a book, unknown words, ask and answer questions about the text, and identify causes and effects. Students will identify the title and author of the book, discuss cause and effect on the topic of people and their relationship with the environment, use context clues to define new vocabulary, and match pictures that show cause and effect from the text.